This is probably the most anticipated round of basketball so far this season as its the first game in the competition for two new players. The Melbourne Tigers have recruited Mustapha Farrakhan from the NBA D league and the Sydney Kings have welcomed their new import from 4 years in the NBA. 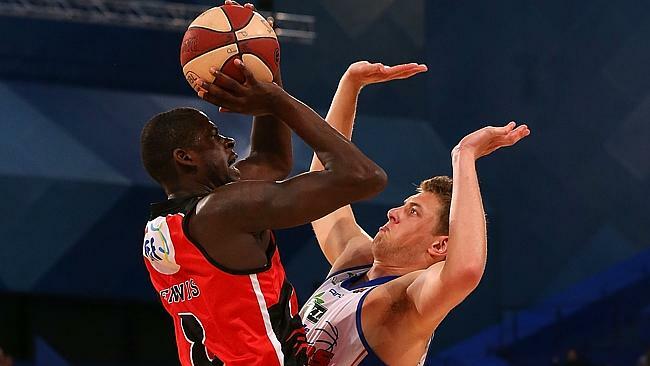 Friday night has a game that everyone in the league has been looking forward to since round 1, when the Perth Wildcats pulled off a close win over the Adelaide 36ers. The 36ers were probably the team to come the closest to defeating the Perth Wildcats but weren't able to pull it off on the Wildcats home court. Both teams probably have the deepest bench in league its going to fast paced and exciting game. With the Wildcats welcoming Matt Knight back into the line up and Tom Jervis playing better then expected they will be able to counter Adelaide's two big men Luke Schencher and Daniel Johnson who managed to play very well against the Wildcats in round 1. Jermaine Beal has also picked up his game from early in the season when he couldn't knock down a shot to the hot streak of shooting he has been on lately and has top scored for the Wildcats in the last few rounds. Gary Ervin has shown what a star player he is with some game winning plays for the 36ers. 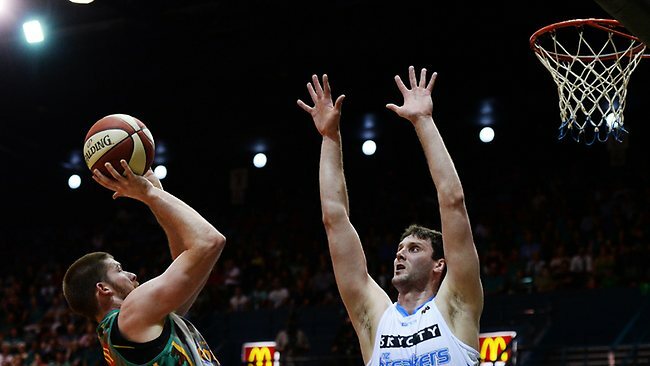 Damian Martin will also have his hands full coming up against the second best defender in the league in Adam Gibson. In all positions these two teams are the best to match up against each other. With both teams sitting at the no. 1 and 2 spot on the ladder it will be the game of the night and hopefully we will see a sell out arena in Adelaide. Centrebet have pretty even odds with the Perth wildcats to win at $1.85 and the Adelaide 36ers to win at $1.95. This is tough game to predict especially with the 36ers playing at home but i'm going to give it to the Wildcats to win by 1 so really could go either way. Although the 36ers vs wildcats game is the best to watch on Friday the first game up is the New Zealand Breakers hosting the Townsville Crocodiles. The Breakers have played Townsville twice already this season and were beaten both times in Townsville. However this time its on the Breakers home ground and after their last loss to the 36ers on their home ground on the buzzer they will be hoping desperately for a win. The only wins the Crocodiles have had this season has been against the New Zealand Breakers so they must know how to play them. The key match up looks to be at the centre position with Townsvilles Brian Conklin up against the Breakers Alex pledger. Last game time they played Conklin racked up 33 points and Pledger was kept to single figures. However with the home ground advantage and how hard i'm expecting the Breakers to play to get this win for their fans I'm picking them for the win by 6. Watch out for a tough fight from both teams though. Centrebet have the Breakers to win at $1.20 and the crocodiles at $4.60. This is a pretty good bet if your looking for a rough win to make some dough. The breakers have not yet been able to beat the Crocodiles and they must just know what it takes to get a win over them. At those odds its worth a few dollars. 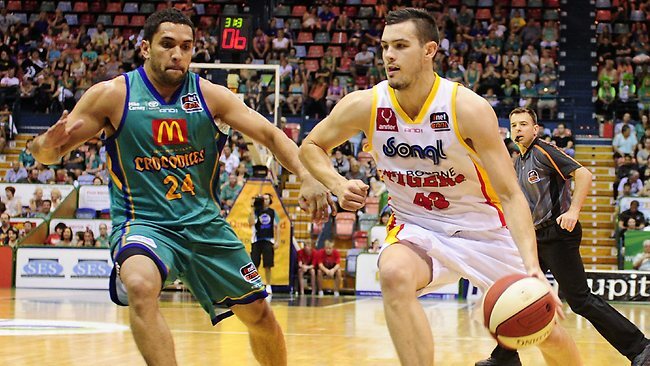 Saturday night will see the Cairns Taipans hosting the cellar dwellers the Wollongong Hawks. This will be a good match up as both teams play off excellent execution on their offence. Rotnei Clark for the Hawks has been one of the best players of the competition and has shown he can do it all on offence however if the Hawks are still missing their centre Larry Davidson they will be missing a key piece in the team. The Hawks in the last few games have played some great basketball but have been severely lacking in height since the Davidson has been injured. The Cairns Taipans are on average a tall team and should dominate on the boards and this is where the game should be won. As in the game against Perth, Wollongong couldn't get enough rebounds and with all the seconds chances PErth got it was almost too easy to work out a win over the course of the game. Im picking Cairns to win by 8 if Davidson is still injured however if he isnt expect it to be a lot closer. No confirmation has yet been sent out from the hawks as to if Davidson will play or not and therefore is tough game to bet on. Centrebet have the Taipans to win at $1.37 and the Hawks at $3.10. Ill try to let you know if Davidson is healthy and it could be worth a bet on the Hawks if he is. Sunday has two games to watch with the first being aired live on channel Ten in Melbourne with the Tigers taking on the Townsville Crocodiles. This is the second game of the round for the Crocodiles and fatigue may be an issue for a team that is not as deep as other in the league. Look for Chris Goulding to have a big game and Mark Worthington to come out looking for points after some quiet games in the last couple of rounds. The Melbourne Tigers have their new recruit Mustapha Farrakhan playing in their line up for the first time and if he can pick up his game over how Ayinde Ubaka was playing they should be an even more well rounded team. Watch for him to try to stamp his style on the team and get Goulding open for some jump shots. Iv got the Tigers to win by 12 over a fatigued Townsville squad. The last game of the round is probably the most anticipated game of the season with the Sydney Kings new recruit NBA player Sam Young coming up against the Perth Wildcats NBA hopeful James Ennis. With it being the second game of the round for the Wildcats and after playing a very strong team in the 36ers fatigue may be an issue but with a team as deep as the Wildcats it really shouldn't. Sam Young was a huge pick up not only for the Kings but for the NBL and look for him to dominate early both defensively and offensively looking to get the Kings shooters open. 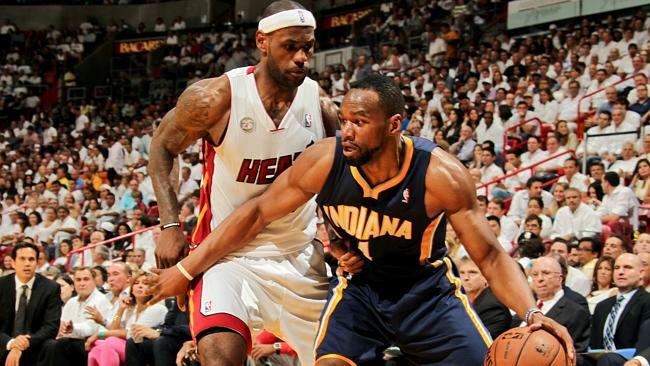 He is said to be a defensive specialist who can stop athletic wingmen like James Ennis. With the Kings releasing their point guard Jesse Sanders this is probably where the game will hang in the balance. Damian Martin has shown why he was the best defensive player in the league last year and has continued that form this season. Depending on how Charles Carmouche can adjust to the point guard position will decide the game. Martin may just be too much for him in the back court and the game may be won due to the Kings lack of depth in the point guard position. This should be the game of the week with two explosive athletes in Sam young for the Kings and James Ennis for the Wildcats going at each other. Centrebet have the Kings to win at $4.00 and the Wildcats at $1.25. Im picking the Kings to possibly get the first win of the season over the Wildcats with AJ Ogilvy to have a big game on the inside and Sam Young to contain James Ennis enough for them to get a hard fought win by 4. This is really going to be a tough game for the kings, as the PErth Arena is the hardest shooting stadium in the league and with the home court advantage it will tough to scrape out a win. But hopefully the fatigue from Fridays game against Adelaide will be enough for the Kings to scrape across the line. Enjoy the Exciting games on offer this weekend and hopefully my prediction will be as accurate as last week.